Would've been nice if you could add images along with the tweets, as well as the comments too. Good Work though..
Will there be an i486 version of 2.0.9? 2.0.8 not bad, but the last tab info is malformed. @veskuh: Does Tweetian recognice e.g. the character " ) " or " ' " correctly while writing a new Tweet and counting the characters? I just tried to send a Tweet (including a picture) but got some api-error shown while uploading that my action is not allowed. I copied my Tweet-text into the browser and the Twitter website told me that there was one character to much, although Tweetian showed me 0 (charcters left). This app would be so much better if it opened twitter links inside the app instead of in the browser! The app wanted me to re-authorise myself, so I logged out, and now it won't let me log back in. Given that I have a valid Twitter account on the phone, why do I have to sign up again anyway? I love the app, but am very frustrated that I cannot log back in! Tweetian did this to me too. It won't accept any code I put in to re-authorize so I'll have to find a replacement. Hi, I have tried to upgrade from 2.0.5 to 2.0.6 but the version has not changed. Can you confirm this should happen and what I can check to see why this isn't working if it should? 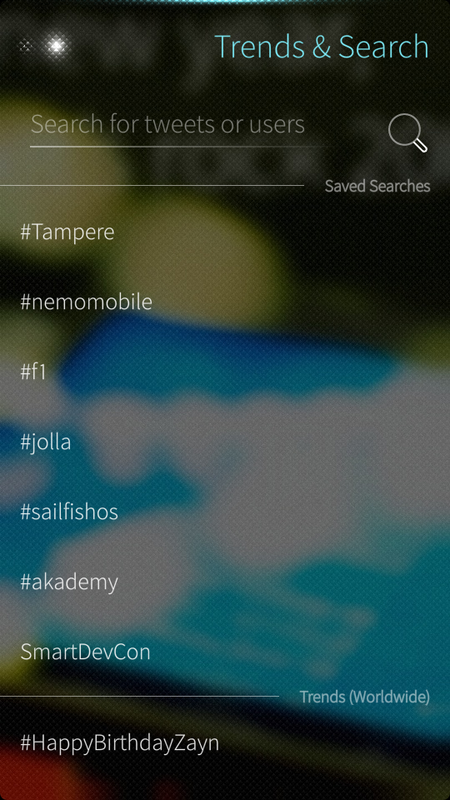 Are there any plans to update Tweetian in the Jolla Store as well? I don't mind to install apps via OpenRepos... but maybe a lot of other users don't want that. [Edit]: Seems no reaction anymore from the developer... ;-(. Would be great to read some kind of a roadmap about the future of Tweetian in the Jolla Store. Update to Jolla store is in plans. July probably, ideally I'd make sure the tablet compatibility at the same time. On all newer versions of Tweetian I can't generate new tweets, sliding down to "new Tweet" and releasing does not initate any action. 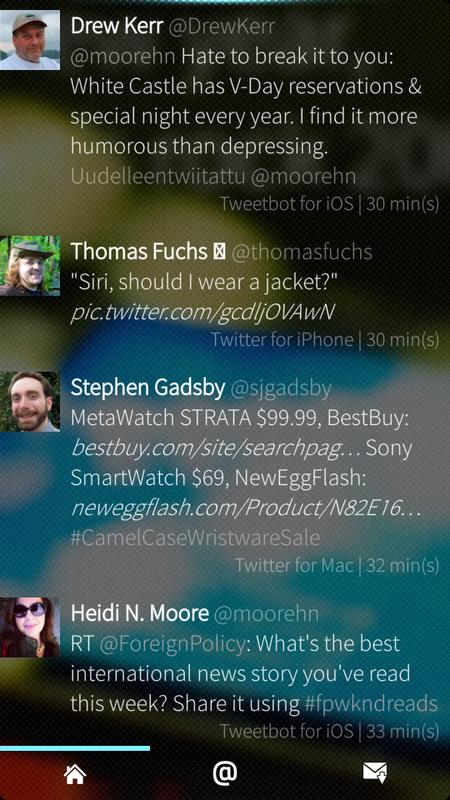 I'm still using version 2.0.2 from Jolla Store where New Tweet is working. Do you have developer mode enabled? You could help me debug by launching tweetian from command line and sending me the output when you do the "new tweet" action. How do I launch from command line ? Yes, that did the trick - thanks heaps for helping !! Thanks for reporting. Yep, I fixed the dependencies in the packaging and updated the package so this is should be solved for others now. 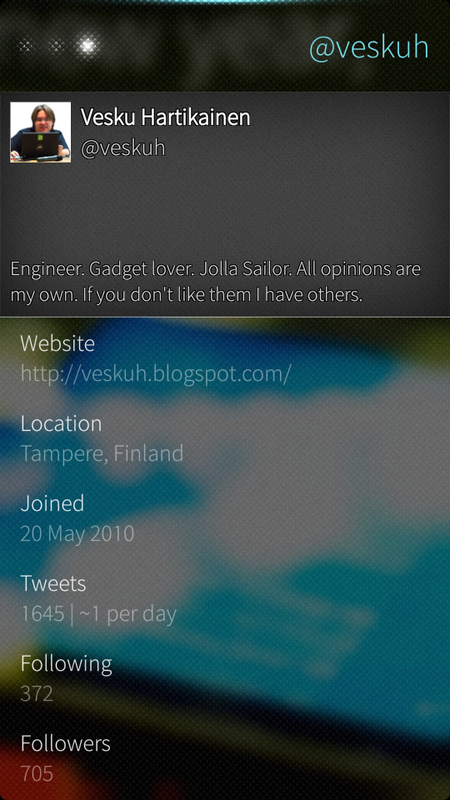 I swiched from N9 to Jolla and, of course, kept Tweetian. But on the Harmattan verson, I used the "Send to Pocket" a lot, and it is not available anymore on the Jolla version. Planned feature? Does tweetian caches people's avatars or does it keep refreshing them all the time? In my daily bus route there is a short patch of road where my Jolla has no GSM coverage. As soon as that happen tweetian drops/hides immediately all avatars. Is that an intended 'feature' to show offline status ? how can I help you to translate into Russian? Thumbs up for the update and this quality Twitter app! What Damourti earlier said, is there any ETA when the conversation function will be implented? Can I buy you some more beer to relax and give you the inspiration to implent this? The sign in page looks great, to bad when I press sign in nothing happens so I can't get a pin number. Am I the only one with this problem? Man, you are not alone.